Roman artichokes are a side dish of the Lazio culinary tradition, a spring dish prepared with a particular type of artichoke, a perfect variety for this type of recipe because it is soft, round and without thorns. 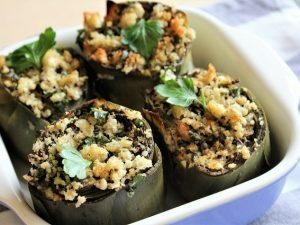 They are prepared in a pan with high edges, tightened one to the other, after having adequately cleaned them from the toughest leaves, and they are seasoned with aromatic herbs widening the leaves and inserting the minced stuffing with the garlic. Finally, they are placed upside down upside down in a pot and they are cooked whole. 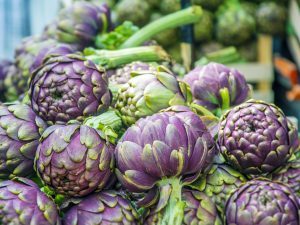 A little precaution before presenting you the recipe: equip yourself with gloves, which you will use during the artichoke cleaning phases, the risk – otherwise – is to find yourself with your hands blackened by the vegetable. To prepare the Roman artichokes, first wash and chop the parsley and the mint. In a bowl, combine the chopped herbs with the garlic (also chopped) two tablespoons of extra-virgin olive oil, salt and mix well. After that, start cleaning the artichokes. Remove the darker and harder outer leaves, without worrying that the artichoke will be reduced in volume. Then cut the tip of the artichoke. At this point you need to clean the stem. Cut it a couple of centimeters from the base of the artichoke and keep it aside. Remove all the dark green and knurled part surrounding the soft heart inside the stem. After cleaning all, wash the heads and stems, dry them lightly and pass over the lemon, the juice – in fact – will prevent the artichokes from blackening during cooking. Slightly open the heads to make room for the seasoning, add salt both internally and externally and add the chopped herbs not only in the center, but also between the various leaves. It is fundamental, for the success of the dish, that the artichokes are then cooked in a saucepan with high edges upside down, one close next to the other. 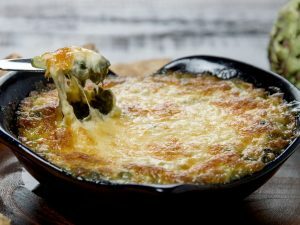 This will ensure that the same – while cooking – do not spread out. Then insert them in a pot with 16 tablespoons of extra-virgin olive oil, and a finger of water (which will cover the artichokes for about one centimeter), also put the stems cut into small pieces and close with the lid. Go on a very low heat for about 25 minutes or until all the water has been absorbed, trying to lift the lid to check cooking as little as possible. 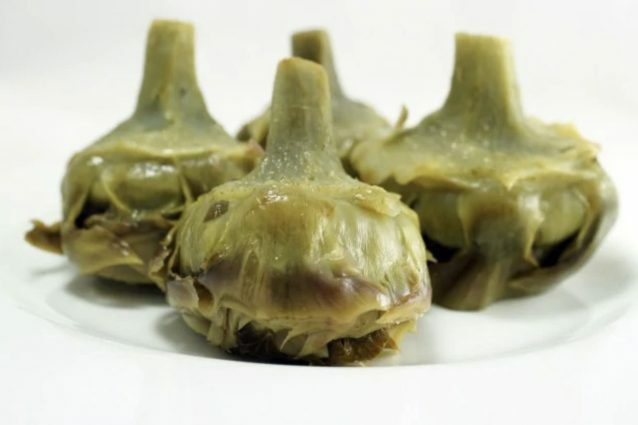 There are also those who cook the Roman artichokes in the pressure cooker: thanks to the steam that will be released, in fact, there will be a different cooking that will preserve all the nutrients.